This example of a third-generation ‘Vette has a very unconventional appearance. The Facebook Marketplace is starting to become the home of some rare production cars, barn finds, and customized cars that catch your eye, for better or for worse. 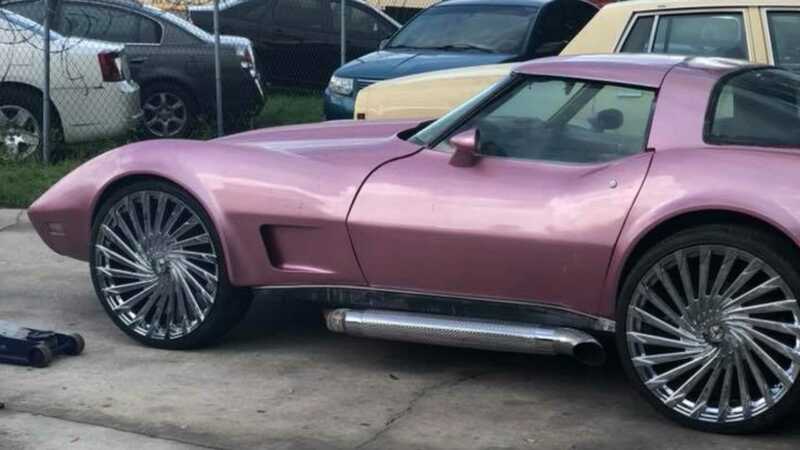 In the case of this 1979 Corvette listed on the social platform’s for sale pages, it definitely jumps out as a very unique car. In 1979, GM produced more than 53,807 Corvettes, making it a fairly common car to find even today. However, none of them were painted pink, or given massive wheels, if that’s your thing. 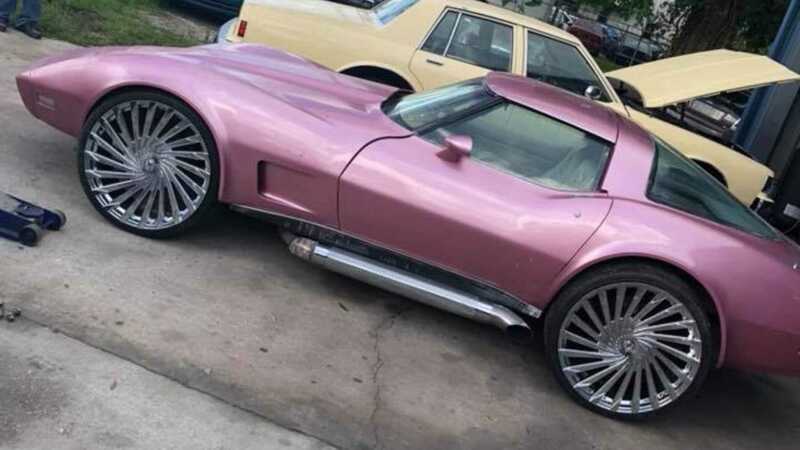 Whoever gave this particular C3 a makeover certainly has a taste for the non-traditional classic Corvette look. The car’s Pearl Metallic paint is just a shade or two off of the Corvette C3 toy Barbie car sold by Mattel back in the day. Massive (especially when placed in the wheel wells of the ‘Vette) 24-inch Azara wheels in Chrome take duty at each corner, and a chrome side exhaust fills in the space between the large wheels. 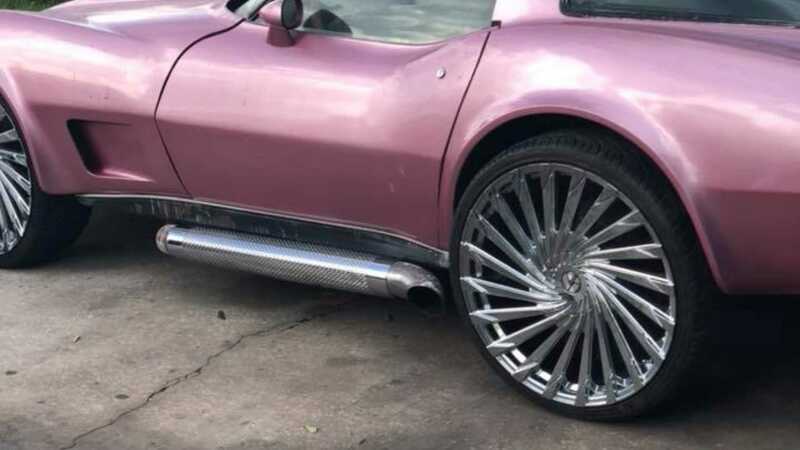 There are no pictures of the interior with the ad, but a pink steering wheel is visible from the outside of the car, and the seats appear to be a light tan, or possibly white - it’s almost surprising that they’re a neutral color. Otherwise, the seller explains that the car is in very good condition with 80,000 miles on the clock, and is an automatic transmission equipped variant. The other details in the ad are “Chrome everywhere, side pipes, super Lord [sic] music system, a/c, and all. A lot of new parts have been brought and put on. 24 inch Chrome azaras, original tires as well”. Everything else aside, the asking price of $13,500 is another standout feature for the year and model. A quick look around the internet yields results of several sub $10,000 C3s in great condition. 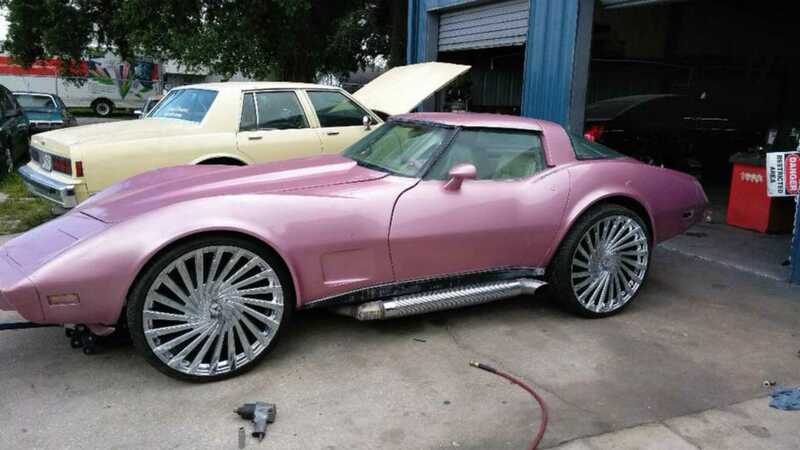 However, if a pink and chrome car appeals to you, this might be your lucky day.